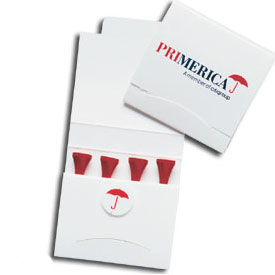 One of the best promotional giveaways. Includes four 2 1/8" tees and one ball marker. Bulk / 14 lbs / 540 pcs.